MARION (AVA ZINN) – No resident of a local school district, let alone a parent of a middle school student, wants to have the daunting task on having to post on one their own. On May 6, 2013, I find myself in that position. It was an incredibly difficult Monday afternoon for the Marion community after school officials say a seventh grade girl hanged herself at the junior high school. Parents of the other students were baffled at how this could happen during the school day. Marion Police along with Marion Community Schools are investigating the death of a 7th grade student at McCulloch Junior High School, 3528 South Washington. 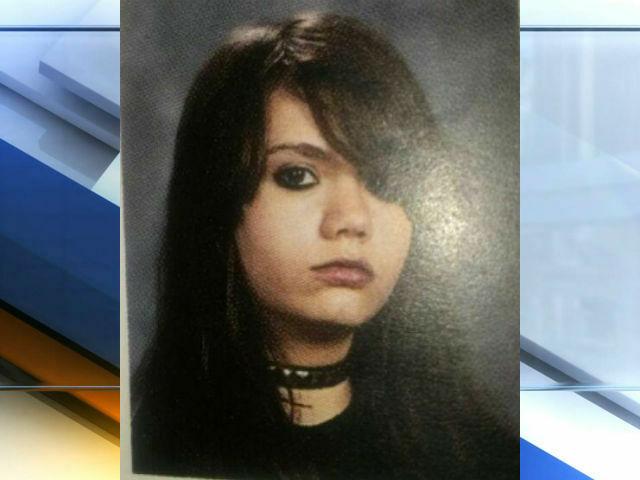 Grant County Coroner Stephen Dorsey reported that Rice used a neck tie she frequently wore. The preliminary cause of death is being ruled as a suicide by hanging, and an autopsy is scheduled for tomorrow (Tuesday). Superintendent Steve Edwards says the likes of this case is something he’s never seen before in his experience in education. At a news conference Monday afternoon, the Grant County coroner said Braylee Rice, 14, hanged herself by the track bleachers at the middle school. Dorsey said the girl used her own tie she was wearing to hang herself from the bleachers. School officials said there was “no indication at this point it was a bullying situation” but police are investigating the circumstances. Grief counselors will be made available to students for the rest of the week. “This is a tragic situation,” said Marion Community Schools superintendent Stephen Edwards. According to the school district, the Grant County coroner’s office has been in contact with Braylee’s family. Students were kept in their classrooms for the day, instead of moving from class to class or being released early, but school officials stressed that the building was not on lockdown, and many parents opted to pick up their children. “In light of the tragic circumstances, we decided, after consulting with the State Department of Education, to keep school in session today on a modified schedule. Out of concern for the safety of those children who may have gone home to empty houses, we opted to keep school open and in session,” the district said in a statement. School officials said counseling was provided to students during school hours and on the bus that Rice rode. Marion Deputy Police Chief Cliff Sessoms is urging anyone who may have any information regarding the apparent suicide death of Braylee Rice to call Marion Police detectives at 662-9981. This is a developing story that will be updated. This story reflects information that has been confirmed to Ava Zinn at this time. Stay with Ava Zinn (in person and online) for a full report, or refresh this page. My family is deeply saddened by the terrible tragedy of today’s events at McCullogh Middle School. Rags, Tabby, and Ashli are also saddened by this deep shock and sorrow of Braylee’s death. My thoughts and prayers are with the family of Miss Rice. A few of the status updates from Facebook, I wanted to post on AvaZinn.com…. Tiara (Shepperd) Stapleton: My heart goes out to the family of Braylee Rice. Its a sad world that kids get bullied then thinking the only way out is to kill themselves. As a parent we worry about so many things now we have to worry about our kids taking their own lives because of mean a** kids. This is a dark time we live in more n more horrible things keep getting worse and trying to find the beauty in life is being covered up by so much negativity. Its time to turn this around and start blighting up all the positives there are in this world. Prayers being sent out to this little girl and hope that this is a major wake up call for bullies, parents, children go talk to your loved ones or a trusted adult for help. Tasha J. (Mangold) Simon: OK I’m gonna say this… but I Hope I don’t upset anyone. This poor little girl hasn’t even been gone for 12 hours and They r already having a candlelight vigil for her??? Is something wrong with this picture or is it just me? ?